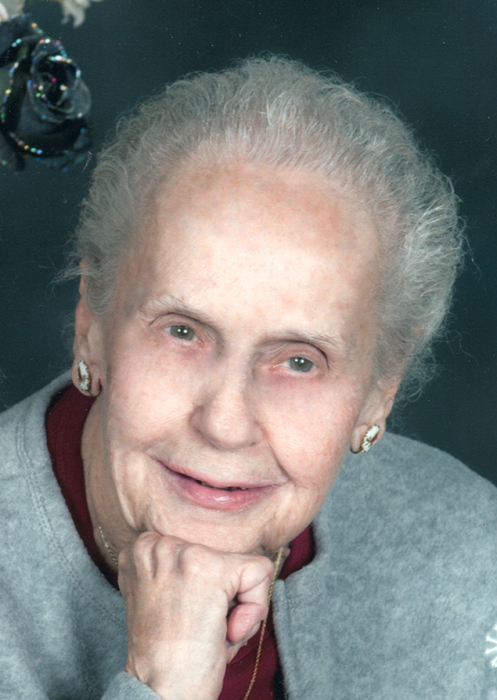 Obituary for Frances Marie Schwarz | Glunt Funeral Home and Crematory, Inc.
Frances Marie Schwarz, 92, of McKean, PA, formerly of Cleveland, died Friday, June 15, 2018 at Edinboro Manor. She was born in Cleveland on May 9, 1926, the daughter of the late Albert and Frances Raymond. Frances loved to crochet and used her talent to provide prayer shawls, hats and gloves to the needy. In her younger years, she liked to read and bake. She enjoyed visits from her family and watching her beloved Cleveland sports teams. During her lifetime, she saw the Cleveland Browns win championships, the Cleveland Indians win a World Series, and finally, the Cleveland Cavs win a championship in 2016. She worked for many years as a secretary in government offices in the Cleveland area, and later as a cashier at Marc's grocery stores. She attended Divinity Lutheran Church in Parma Heights, where she sang alto with the Group One In The Spirit Choir. Frances was preceded in death by her husband, Roy, in 2005 and a sister, Margaret Ballantyne, and a granddaughter, Karen. Survivors include a son, Alan (Kelly) Schwarz, of Las Vegas; 2 daughters, Janet (Bill) Getson, of McKean, and Dale Glovitch, of Cleveland; 7 grandchildren, Jonathan, Katie and Jeremy Getson; Tiphany White and Frank Schwarz, and Faith and Charity Atkins; and 3 great-grandchildren, Alana, Carlos, Jr. and Brandon. A memorial service will be held on July 27th at 11 a.m. at Divinity Lutheran Church in Parma Heights, Ohio.